Of the 6.2 million children in California’s K-12 public education system, 3.3 million are Latino. That number is higher than every other state’s student population, excluding Texas. In addition to making up the majority of California’s K-12 school population, Latinos are also the fastest growing ethnic group in the state. Despite this group’s prevalence, Latinos have faced a long history of discrimination in education. A recent report from Education Trust-West found that while some outcomes have improved for Latino students, they still face a variety of hurdles in California’s public education system. 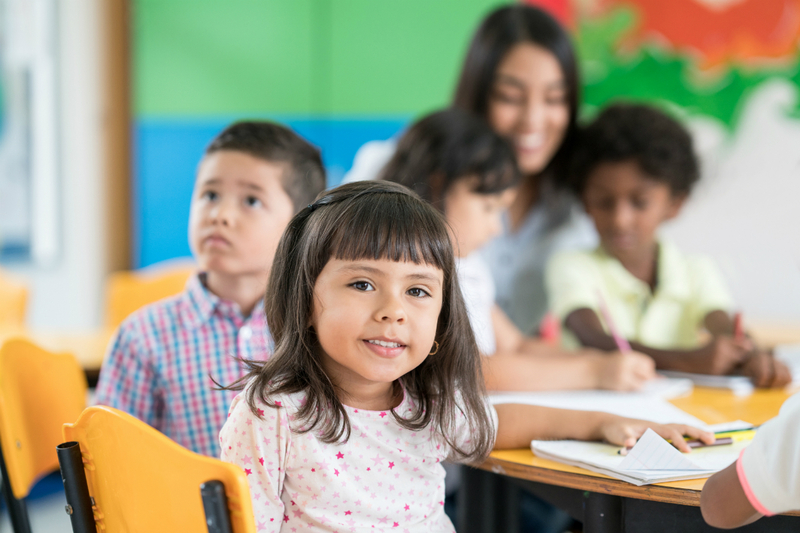 Many Latino students under the age of five do not have enough affordable and/or Spanish language-friendly preschool options, making them less likely to attend preschool than white, Asian or African-American children. As compared to their white peers, Latino students are also more likely to enter segregated K-12 schools that have less effective teachers and less opportunities for enriching academic coursework including arts education classes and the courses needed to complete University of California and California State University A-G requirements. Latino students encounter implicit and explicit bias from teachers and counselors, which can lead to over-identification for special education and under-identification for gifted and talented education, among other major issues. 2016–17 Smarter Balanced assessment scores show that less than one-third of Latino third-graders met or exceeded English language arts standards. One in five Latinos do not pass Algebra I in middle school. Additionally, one in five Latinos do not graduate with their high school class, and, of graduating high school seniors, only a third complete UC and CSU A-G requirements. More than half of Latino students report that they feel disconnected from their schools. Many Latino students do not feel that they receive fair treatment at school and do not feel happy or safe at school. Latino parents may face additional barriers, such as a lack of knowledge about the American public school system or the need for translation services, when trying to engage with their child’s education. The entire report from Education Trust-West can be found here.